Tesco Metro is located in an ideal space in The Forum Shopping Centre on Station Street, 0.18 miles east from the centre of Sittingbourne (a few minutes walk from Sittingbourne Train Station). This store is a beneficial addition to the areas of Sittingbourne, Bapchild, Chalwell, Kemsley, Murston, Borden, Snipeshill, Bobbing, Iwade, Newington and Tunstall. It is open 7:00 am until 8:00 pm today (Friday). Here you will find the specifics for TESCO Sittingbourne, Forum Shopping Centre, including the business hours, address description, direct number and additional pertinent information. Tesco Metro is easily reached right near the crossroads of Station Street and High Street, in Sittingbourne, Kent, at The Forum Shopping Centre. 1 minute drive time from St.Michael's Road, The Wall, Eurolink Way and Milton Road; a 2 minute drive from London Road, Staplehurst Road, Chalkwell Road, Borden Lane and Crown Quay Lane; or a 5 minute drive time from Maidstone Road/A249. Instructions for Sat Nav: enter the postcode ME10 3DL. Buses regularly stop at London Road/Ufton Lane and Railway Station. Easily accessible along the routes: 5, 8, 9, 320, 322, 324, 326, 327, 328, 332, 333, 334, 339, 341, 344, 345, 347, 351, 371, 372, 638, 647, 731, 751, 321S, 370B, 370C, 370D, 370F, 370L, 370S, 370T, 371L and 371M. Located by Sittingbourne Train Station (900 ft away). Served by the Southeastern line. Around the store you might visit Minterne Junior School, Kemsley Primary School, Bobbing Village School, Milton Creek Country Park, Westlands School, The Sittingbourne & Kemsley Light Railway, Eurolink Industrial Estate, The Sittingbourne Community College and Borden Grammar School. At the moment, TESCO has 3 stores in Sittingbourne, Kent. On the following page you can take a look at the full list of all TESCO locations near Sittingbourne. Please take into account that the working times for TESCO in Sittingbourne, Forum Shopping Centre may change from usual times during legal holidays. In 2019 it applies to Christmas, New Year's Day, Good Friday or Early May Bank Holiday. 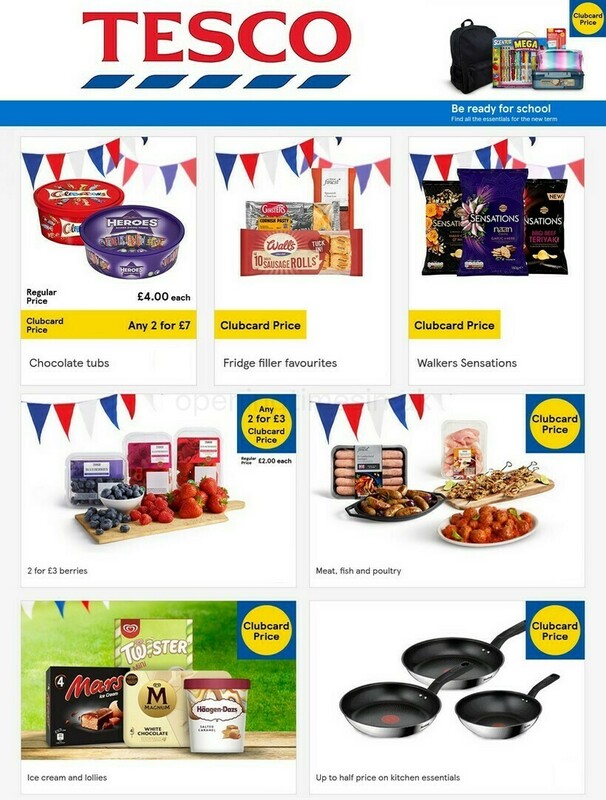 The best way to get precise details about seasonal business times for TESCO Sittingbourne, Forum Shopping Centre is to go to the official homepage, or phone the customer information line at 0800 50 5555. While shopping at TESCO, be sure to take a look around the wide collection of fine quality stores in The Forum Shopping Centre. Help our team keep the information as up to date as possible. Please feel free to make use of this form to report any mistakes with the contact info or working hours for TESCO in Sittingbourne, Forum Shopping Centre. Support our potential patrons by expressing your thoughts! Using the space provided below, you are invited to write a review of TESCO, and rate its store using the star system.